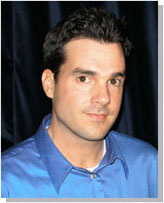 John Reese (TrafficSecrets.com) - Articles - DOUBLE Your Profits Now! I just thought I would share a little "wisdom" with you that I learned the "hard" way over the past 12 years of running online businesses. Hopefully, some of you will be able to benefit right away from what took me YEARS to figure out and finally DO. It was the major difference in finally finding big success online. YOU'RE IN DEEP DOO-DOO AND YOU DON'T EVEN KNOW IT. One of the hardest lessons I had to learn was that working on several projects at the same time was literally the KISS OF DEATH for my online ventures. I was under the impression that if I could create TEN little online ventures that could each make a measily $2,000/month, then when the day came that they were all online I'd be making $20K/month. FOCUS. THAT'S THE SECRET TO MAX PROFITS. Just as you cannot make a million dollars without making just ONE DOLLAR first (there's no other way around that order) you really can't succeed online unless you work and FOCUS on just ONE PROJECT and work on it until it's profitable. Then and only then should you work on Project #2. It's too easy for entrepreneurs like us to surf around the Internet and see opportunity everywhere. It's too easy to come up with yet another new "plan" to create yet another little venture -- often sidetracking us from our original project. So stop working on multiple projects at the sametime -- at least not until you have ONE project making you enough money that you can sitback and relax and "play around" with a 2nd and 3rd and 4th project. Until you create just ONE project that is able to support your lifestyle you have no reason to be working on other projects. YES, many people will disagree with me, but it's a FACT. The way to succeed online is to FOCUS. It's better to do one thing "great" than to do many things "fair". If your primary project is just not growing to the size you want it to to support your lifestyle, then you should probably focus on another project instead. Pick another market. Do some research. Don't be afraid to try something else. DON'T FALL IN LOVE WITH YOUR PROJECTS. If you give them an honest effort and they prove not to be as profitable as you want, don't be afraid to DUMP THEM. Online ventures are very inexpensive to start. Don't be afraid to bail out on a failing project and start another to focus on. You'll make a lot more money by making one project as best as you possibly can. Instead of spending your time trying to get another project going, work on GROWING your original project -- go out and get more affiliates or test more advertising campaigns. THEN work on creating a backend product that compliments your initial product/service. Work on making your original project as big as possible. When you can't do anymore, THEN considering starting a second project. 2. Make Lists And Prioritize Based On One Thing -- PROFITS. You should do "brain dumps" often. Pour everything in your head onto paper. Get everything off your mind. We all get a gazillion ideas everytime we surf around. Don't clog your mind with these ideas, write them down. You don't need to let these ideas encompass your thoughts -- they are safe on paper or in a computer file you've created to note them. Make a list of "tasks" you need to work on for your business. Write down every conceivable thing you'd like to accomplish. Then prioritize this list from top to bottom based on what will you make you the most money or have the biggest impact on your bottom line. It's funny how we often will spend a lot of time on tasks that don't necessarily bring in new profits for us. So work on those things that will most directly affect your bottom line FIRST -- then work on the rest of the list. Also work with a better PRODUCTIVITY "BALANCE". Plan to work 3-4 hours a day working only on some tasks on your list. As Internet entrepreneurs it's too easy to surf this site and other sites and PROCRASTINATE. The Information Age makes it too easy to procrastinate -- because we can NEVER know everything there is to find online, so we can surf INDEFINITELY. Kill your web browser for a few hours a day if you don't need it to accomplish the work you need to do. Surf only when you've accomplished your day's tasks. Same with email. Close your email client if you don't need it. 3. STOP TRYING TO COME UP WITH THE NEXT "BIG THING". LET OTHER PEOPLE *SHOW YOU* WHAT'S MAKING MONEY. For many years of my life as an entrepreneur I was trying to come up with the next "Big Idea". I was always trying to innovate. I was always trying to invent something. I finally realized that it's much easier to make money THE LAZY WAY. Let other people do all the hard work for you. Let other people figure out what people want to buy. Then you can DIFFERENTIATE yourself and offer something similar to the same market. No, don't copy off of people. But create a product that compliments a popular product/service. Not only have you created something to offer to that same "hot" market, you have also created something that makes for the perfect JV for that original person that "showed you" the market. Online, you can find out ANYTHING about any business. Do some research and check out other successful people online. Notice what kind of ad copy they use. Subscribe to their ezines or autoresponder series. See what they send you -- realize WHY. Buy your competitors' products. See what they sell you on the backend. Figure out HOW they are making money. Check out the keywords for your market. Notice the companies that are bidding for your keywords. Keep an eye on these listings for at least a couple of weeks. The companies that remain at the top are most likely MAKING MONEY with that advertising or they wouldn't keep paying for it (unless it's some Fortune 500 company just wasting money). Go to their site and see WHAT they are selling. How much they are selling their product for. What autoresponder series they might be using. What their offer is. Buy their product. Figure out their backend. Do a little RESEARCH and you can find out the exact "blueprint" for success in any market. Don't sit back and "hope" your business grows, MAKE IT GROW. No matter what your goals are, you CAN make them happen if you TAKE ACTION to make it happen.